Yet again. 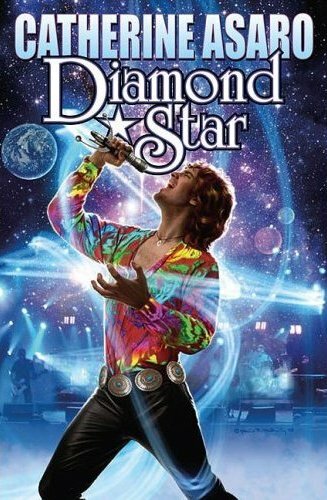 Yes, the book is actually about rock stars in space (rather, a rock star in space). And it actually sounds like a very entertaining, cleverly conceived book, too. Unfortunately, when the cover artist was told “futuristic,” s/he seems to have settled on “the 80’s” as the nearest approximation. And so we are granted the bargain-bin equivalent of the love child of David Bowie and the vampire Lestat as our cover boy. Let’s just hope that proximity to cosmic! star! light! won’t reduce his sperm count as much as those pants will, because then where would we be? Deprived of a new generation of starlets with mullets, that’s where. Wow, photoshop abuse, my favorite part is how they slapped a photo as the background, it’s rather Jarring.